Bruce Lee was an artisan, an innovator, an indomitable warrior, a genius. Inspiring many to create tributes to him. It unfortunately does not follow that those inspired to create these tributes are creative enough or qualified enough to do those tributes justice. Such is the case with DRAGON: THE BRUCE LEE STORY. Not really a story about Bruce Lee, more the story of a character type from the Cliché Handbook of Action Film Heroes (Body-Oil Edition). And not so much a “tribute” as a “gratuitous insult”; excepting Jason Scott Lee‘s physical prowess (as Bruce Lee) and the overwhelming hotness of Lauren Holly (as Bruce’s Caucasian wife Linda), DRAGON boasts absolutely no redeeming qualities. But lots of body-oil. The dramatic contrivance of the “po-boy-immigrates-and-makes-good” was bad enough, even if it were true (which it is not) but then, in a film where assault and battery assumes a form of high art in the hands of the film’s protagonist, we viewers are summarily assaulted and battered by the artlessness of the film-makers who opted for cliché over substance at every turn. In Lee’s first fight at the prom, he conveniently loses his shirt (a la Vintage Kirk) – beneath the shirt, judiciously body-oiled like a seal at a massage parlor, big dumb white sailors not so much being beaten up by him as sliding off his pecs like penguins and hitting their heads on the floor. The gym scene, and more big dumb white guys (and a token black guy) assault Lee for no reason – remember that these were simple bygone days, when big dumb white guys were unaware that Every Asian Person Knows Kung Fu. Clichés for breakfast, lunch and dinner: We’ve got the mother who doesn’t approve, the white chick love interest contra cultural blessing, the battered loft converted into the martial arts school, the racism, the idiot antagonists attacking the hero with meat cleavers (which they never think to THROW at him), the kung fu veterans ordering Bruce to stop teaching – or else – ! We’ve got the obligatory husband & wife confrontation (once again the wife bitching as her husband achieves a fame that she can only ride the coat-tails of: “I don’t know who you ARE anymore!” – how about “the guy who keeps you wealthy and your social status high”?). Even if many of these aspects were marginally accurate (such as Lee’s wife truly being the ideal 70s stunner), film unfolds in paint-by-numbers that undermines even the accurate elements. Then there’s the goofy Black Knight character that haunts Bruce’s dreams, proving beyond a doubt that the filmmakers were higher than the publicist who engineered Janet Jackson’s “wardrobe malfunction.” Besides the fact that this was an insulting dramatic metaphor for the mystery surrounding Lee’s untimely demise, how dare the filmmakers presume that this metaphysical nonsense in any way rationalizes, palliates or absolves the misfortune of Bruce’s passing? Enter the Bad Guy combatant – we can tell he’s the Bad Guy on accounta his scowl and ominous theme music, and his body-oil is a whole inch thicker than Bruce’s. And Bruce’s debilitating cliché-defeat at his hands is achieved by CHEATING, of course. It’s all true. Hollywood tells us so. Then we are treated to the obligatory montage of the Hero regaining his prowess through his Iron Will and jump-cut editing – all due to his HOT WIFE’S pep talk – yes, if it weren’t for bony, bossy Linda Lee, we’d never have Jeet Kune Do or ENTER THE DRAGON. Bruce’s book, The Tao of Jeet Kune Do, was published posthumously – but in this film, he miraculously receives a copy while recovering from his bogus back injury – a miracle only Hollywood could achieve. We cannot even disregard the fallacies of this movie and focus on the broad strokes to glean Bruce’s life story, for those broad strokes themselves are indiscernibly shrouded in misinformation. Much like CAPRICORN ONE, another film which insults the viewer from frame one to conclusion, with misinformation and egregious stupidity sprinkled so liberally throughout its makeup that you cannot find any one point to logically start unraveling the threads of idiocy. One such example of just how IGNINT the filmmakers believe us to be is the scene in which we are made privy to the methods on how to film a movie, with the fight scene on the “last day of filming on THE BIG BOSS.” With just ONE tripod-mounted camera, they captured no less than 43 camera angles, and also captured slow motion shots without once loading different-speed film! Then, apparently you have to rip the film out and throw it on the ground in order to develop it, which is what Bruce does. Very informative! And all true, of course. Hollywood tells us so. 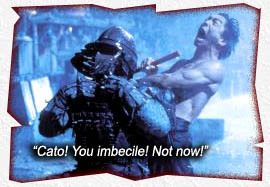 Ironic that these film-makers, who attempted to portray a pioneer who fought to elevate the martial arts film above that of B-Movie schlock, unwittingly created B-Movie schlock. Though their intentions may have started out sincere (which I doubt), what is left on the screen is a rancid marketing vehicle cashing in on Bruce’s fame. We can only hope that one day there will be a more reverent, less body-oiled, more factual movie to celebrate the life and achievements of The Little Dragon. Writers: Robert Clouse, Linda Lee Caldwell, Edward Khmara, John Raffo, Rob Cohen. Starring: Jason Scott Lee, Lauren Holly, Robert Wagner, Michael Learned, Nancy Kwan, Ric Young.